If you have decided that your home could do with a lift then you may be among the many who knows that the best place to start is the kitchen. 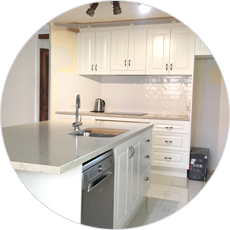 Having a kitchen renovation done in your home can really change the overall look and feel of a home. It is considerably one of the places in the house that most time is spent in. In addition, having a functional kitchen that looks good too is vitally important. 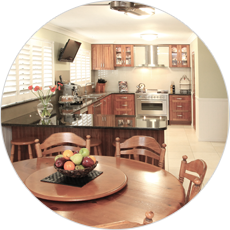 Thanks to Craftbuilt Kitchens, the task of kitchen renovations is relatively hassle free. Having successfully manufactured countless beautiful kitchens since 1975, Craftbuilt certainly knows how to impress and are most definitely here to stay. With over 40 years of experience, you know you can trust their workmanship. One of the first things you will notice about Craftbuilt is the incredibly welcoming showroom staff and their ability to make you feel at ease. The consultants will show you all kinds of samples, the different displays available on site and you can hear about a wide range of ideas, some you may not have even thought of. Signing on with Craftbuilt means more than just having a well crafted kitchen that is built to last. It means the prices you are given are genuine and up front, with no hidden costs. Plus, you can view your Craftbuilt Kitchen in 3D design graphic software – a technology made available to you before the actual building even starts. 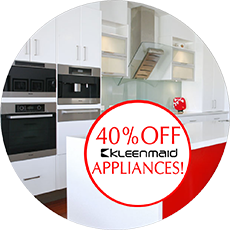 It means that you are supporting an Australian grown and owned company and it means that you will be enjoying your new kitchen the same day installation begins. The countless customers, who have entrusted their new kitchens to Craftbuilt Kitchens before you, know that Craftbuilt is an honourable, reliable company. 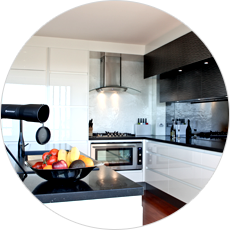 Their kitchens come with a 10 year guarantee and insurance to cover the total contract value. The tradesmen that they use are fully licensed and take immense pride in their work, always ensuring their work is of a high standard and always behaving in the same professional and courteous manner you would have come to expect from the team at Craftbuilt. Whether your budget has a fair amount of room to move or is a little on the tight side, you are sure to find the perfect kitchen for you at Craftbuilt Kitchens. Adhering to a tighter budget doesn’t mean that you have to miss out on quality and their highly qualified and experienced designers can work with you to create your very own dream kitchen no matter your limitations. Visit Craftbuilt Kitchens in Underwood and start planning for your new kitchen today!